An important part of preventive maintenance is hiring a contractor with the right skills and experience for the job. Huntinghouse HVAC, a veteran and family owned/operated company, has over 20 years of experience in the Pensacola and surrounding area with superior HVAC services for residential and commercial repair, installation and maintenance. Trained Huntinghouse HVAC technicians will perform a precision tune-up and professional basic cleaning including the following operations. Inspect evaporator coil – Clean in place only, if needed. Thermostat Technician will calibrate the thermostat and make sure it is installed properly and located away from all heat sources, including light bulbs and heat-producing appliances. If poorly located, technician will make recommendations for re-location. Check/Tighten Electrical Connections - Technician will inspect electrical connections to make sure they are operating safely. Checking and tightening electrical connections catches potential electrical hazards and helps to improve the lifespan of your heating and cooling system. Lubricate Moving Parts - This ensures that you aren’t causing any unnecessary damage to moving parts with friction. Lack of lubrication causes system parts to break down more quickly, requiring more frequent repairs and/or replacements. Check and Clear Condensate Drain Line - Cooling equipment and condensing furnaces produce condensate when they operate. Under normal conditions, the condensate collects in a pan and drains away to the outside. However, over time, sludge or algae can form in the drain pipe and create a blockage. During times of high usage, the drain pan may overflow and cause water damage to the equipment or your home. The technician checks the condensate drain to make sure it’s draining properly and cleans it out if necessary. Check System Controls - This ensures proper cycling and safe operation for your HVAC system. It’s important to check if your system is starting, operating, and shutting off properly. Change or Clean Change Air Filter - This ensures that you have a working and clean air filter that is suitable for your exiting system. Although you should be able to change your filter yourself (and you should every single month! ), your HVAC contractor might point out a better filter or filtration system that you should be using. Clean and adjust the blower - Issues with the blower can decrease equipment efficiency by up to 15 percent. Making adjustments ensures proper airflow and ample home comfort. Clean the evaporator coil (cooling specific) - Soiled coils slowly decrease efficiency and make the equipment run longer. Cleaning the coils semi-annually is an important part of maintaining the A/C’s capacity, ensuring lower energy bills and prolonging equipment life. 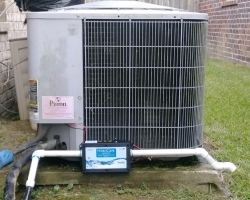 Check refrigerant charge (cooling specific) - If the air conditioner was charged too high at installation, you could be paying much more than necessary to cool your home. An undercharged system can also develop if the system has a leak. The technician checks for these circumstances. If leaks are present, tech will make recommendations for repairs. Check fuel line connections (heating specific) - Poor gas or oil connections are a fire hazard. They can also cause health problems if fumes are able to escape into your home. Tightening the connections ensures safe operation. Inspect the gas pressure, burner combustion and heat exchanger (heating specific) - Incorrect pressure, a dirty burner or a cracked heat exchanger can result in improper burner operation. These circumstances can also cause unsafe and inefficient operation. Adjusting the pressure and cleaning the burner are two viable options to improve operation and lower your heating bills.